Mike WiLL Made-It reveals that the HUMBLE. beat was designed with Gucci in mind. "With "HUMBLE.," I knew that beat was going to capture a moment. It just felt real urgent. I made that beat [last year] when Gucci Mane was getting out of jail; I made it with him in mind. I was just thinking, damn, Gucci's about to come home; it's got to be something urgent that's just going to take over the radio. And I felt like that beat was that. I ended up not doing it with Gucci and I let Kendrick hear it. I was thinking, if Dot gets on this it'll be his first time being heard on some[thing] like this. At the same time, it kind of has an NWA/Dr. Dre feel, an Eminem kind of feel. So I thought, let me see if Dot f**** with it. And he heard the beat and he liked it. But he was about to give me "HUMBLE." for [my album] Ransom 2. I love that song so I was like, 'Man, hell yeah.' Then he told me that his team was saying he should keep it. And I told him, 'Bruh, you definitely should keep it, and you should use it as your single.'" He also reveals how Kendrick originally rapped DNA in front of him acapella, and requested that the producer handle the drums. "Just imagine him acappella rapping the second half of "DNA. ", says Mike. "I had to build a beat around that. I didn't want the beat to just sound like a regular boom-clap, boom-clap. I wanted that s*** to sound just as crazy. I wanted it to sound like he's battling the beat." 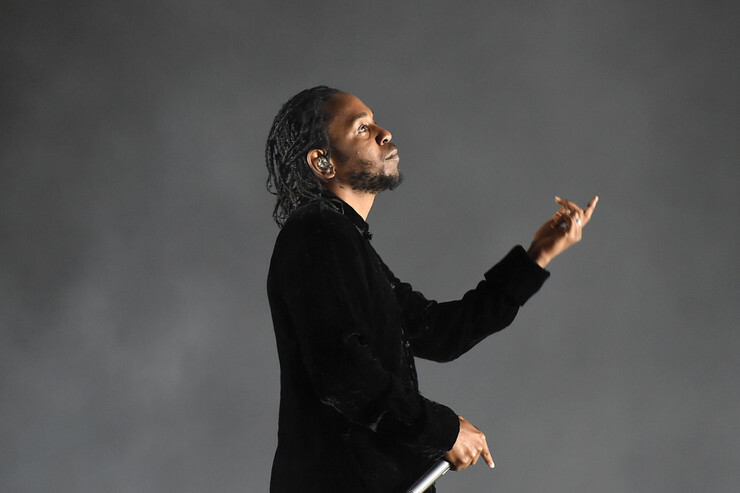 Mike WiLL Made-It and Kendrick's collaborations were the first two singles off DAMN.